[Blind Gossip] This male action star is already the father of one or more children. His wife wants more children. He does not. He is content with the quantity of children he has now. She is not giving up so easily. He doesn’t know that she’s actually been throwing out one pill every day. She does this because he knows that he checks her pack. He once yelled at her when she didn’t take the white pills for several days. Sounds like a really trusting relationship! 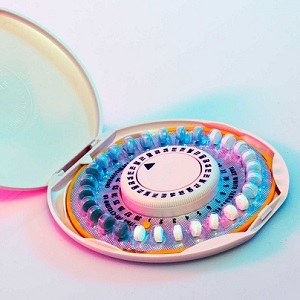 By the way, the “white pills” are likely the non-hormonal birth control pills that are included in a monthly pack simply to keep you in the habit of taking a pill every day. [Optional] Do you think they have a good marriage? If he’s positive he doesn’t want more kids he needs to man up and get a vasectomy. All right, and the thought that he should have a vasectomy is not even in his mind. Typical. IF, I absolutely didn’t want any more children that’s what I would do. Chris Hemsworth/Elsa Pataky comes to mind.. I think she’s insecure because he’s A. younger than her and B. starting to love himself a bit too much, which is usually the beginning of the end for an actor’s marriage. I don’t know who the actor/wife is, but in answer to your question……no, I do not think they have a good marriage, because truth is, they don’t! If the husband doesn’t want any more children and the wife knows that he feels this way and is doing something as deceitful as throwing away and not taking her birth control pills, then that’s just wrong! She’s being deceitful, thinking only of herself and what she wants, and that will never make for a good marriage, because marriage takes two! They always seemed an oddly matched couple to me. Do they have a good marriage? Obviously not. She should respect his wishes. I cringe at how many times women have lied about this for their own selfish reasons. It is irresponsible to bring a life into this world when both parents are not on board. From lying about it so they can trap a man or (in this case) lie so they can have whatever number of kids they believe they should have, it is just wrong and evil.